The dashboard provides an overview of the most important and current tasks. Provides you with important statistical information to monitor your business and alerts so that, based on this decision support system, you can act more quickly towards the success. Control the information from those that will boost your business. 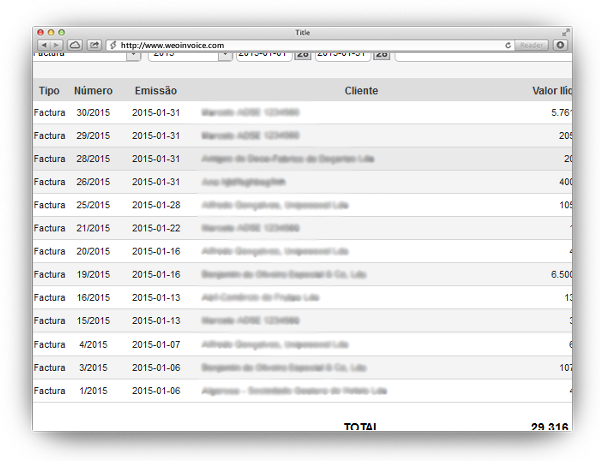 Here you can manage the contact information and the specific customer invoices that are pending as well. 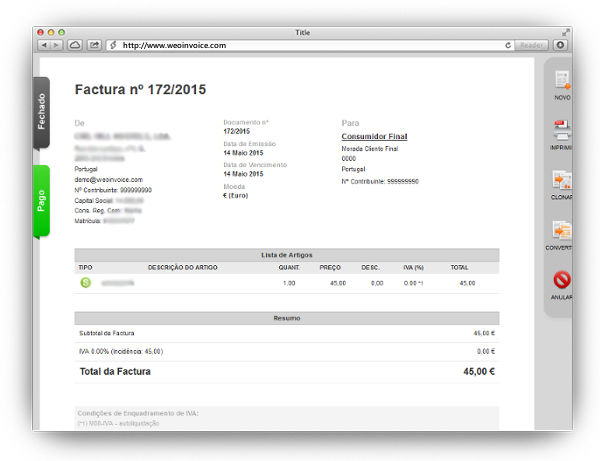 Create invoices, devolutions, credit notes and other documents in seconds. 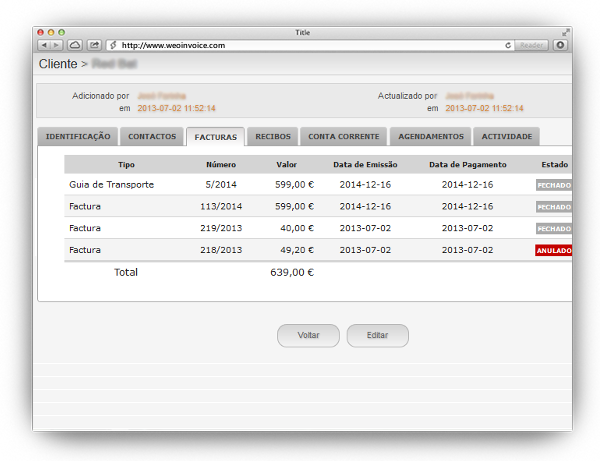 The interface is simple, intuitive and will help you, in a friendly way, to send documents quickly and professionally. 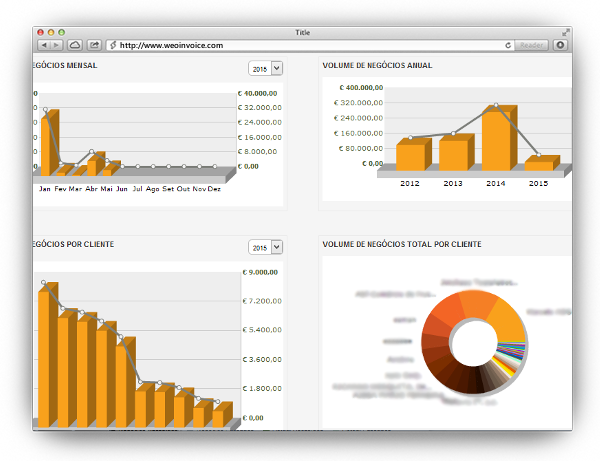 With this tool you can generate reports that make sense for your business. You can do the filtering you want in order to have, instantly, the information you seek. This feature provides continually updated information of your business. Here is stored all your personal information and your company or business information as well. You can manage the Tax Table which you will apply to your customers and make the export of its accounting information through the file SAF-T PT.